That’s right folks. Although you’ve had to wait nearly 16 months for Apple to announce the successor to the very successful iPhone 4, you can pre-order it from Friday! In order to get your mitts on the new device first, you will have to check out Apple.com this Friday 7th and sit tight until the following Friday when the device will be released (Note, you’ll probably need to book the day off work!). And the best part is, it will come in black and white from launch, so those partial to a white iPhone won’t have to wait near on a year to get hold of it! We all remember those days now don’t we? 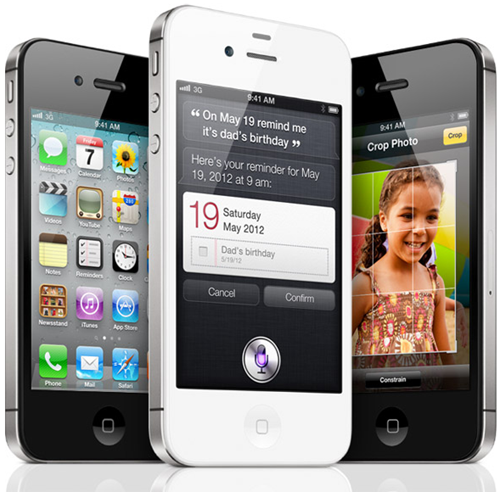 iPhone 4S will be initially (October 7th pre-orders, October 14th availability) available in Australia, Canada, France, Germany, Japan and the UK. It will be available in more than 70 countries by this December. As for prices, the 3GS (oh yes, the old timer’s still selling) will be reduced to free on contract as opposed to $49, while the iPhone 4 will be knocked down to a mere $99 (for the 8GB version). The 4S will enter the scene at $199, $299, and $399 for the 16GB, 32GB and 64GB models respectively. All prices are obviously subject to contract, but now you’ll be able to exercise just a little more choice with Sprint also joining the party. Meanwhile, AT&T is doing its utmost to retain its position as primary iPhone retailer, and is today launching a new app to aid existing iPhone customers in upgrading to the iPhone 4S. Called AT&T Upgrader, it will inform customers if they are eligible for the new device, how much it will cost, and allows them to subsequently place a preorder. The app should be available for AT&T customers to download from the App Store later today. The iPhone 4S’ 8 megapixel camera will be capable of taking shots at 3264 x 2448 pixels, which should bode well for the newcomer retaining iPhone’s status as the camera of choice for many an amateur photographers. We suggest those looking to get a hold of an iPhone 4S be prompt in pre-ordering; if history is anything to go by, competition is usually fierce, and many consumers are left empty-handed until the second production batch is pushed through. You might also like to check out the Apple Store app, which will enable you to reserve your iPhone 4S and keep track of the latest releases and products from the Cupertino company directly from your iPhone, iPad or iPod touch.